LUXE magazine 2015 Gold List Designer, Raji RM designs homes that are not only beautiful but also have a truly lived-in feel that is welcoming and personal to people living in them. The homes we design are a reflection of our clients with a sense of architectural and personal history that makes it uniquely their home. Our design process always starts with listening to what the clients really want and then tailoring the design plan to their tastes and preferences. An alumna of the Kips Bay Show House, Raji Radhakrishnan is known for her sophisticated yet comfortable spaces - what we call as livable luxury - which comes through in every project she undertakes. She enjoys not just collecting unique pieces for clients but composing beautiful spaces for living and loves working on a variety of architectural/design styles. We are a full service interior design and decorating firm - starting from the overall vision we plan your home from room to room including the lay-out, selection of materials, colors, furnishings, lighting, art, etc. Procure all the needed materials and furnishings for your home, work with the right contractors, craftsman and workrooms to beautifully finish each room and each bespoke piece we make for your home. Collect them all and finally install everything in your home. We work with clients on their old or new homes & collaborate with architects and builders across the country. We also offer consulting services. For more information please visit www.rajirm.com or call us for an appointment at 202-330-3866. Your needs are as individual as your style! We’ve been helping busy, accomplished professionals in the DC area create their dream homes since 2005. Our design services are tailored to your unique needs, timeline and budget. With your vision and our expertise, we’ll create a functional and inviting space that captures your style and personality. We can work one room at a time or transform your entire home with our color consultation and complete home makeover services. Turn to me, and you won’t have to shell out lots of money! Whether you’re putting your house on the market or are simply up for some home makeover, I can help. My name is Jacy, and I am at your service if you need professional interior decorating, new flooring or home staging services in the DC Metro area. Here are more reasons to hire me: I pay attention to the tiniest details. I listen to what the customer needs and wants. I work within your budget. I repurpose or redesign old stuff to save money. Welcome to Beyond The Mill Studio Design. With almost 30 years in the business, we have been recognized as the place to go for those seeking quality home furnishings. Formerly Olde Mill Furniture & Design in Ashburn, VA -- Beyond The Mill Studio Design, is now servicing Northern, VA | Clifton, VA | Southwest, FL | Sarasota, FL. 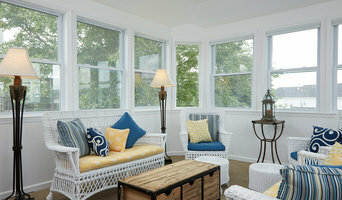 BTM Design is a full-service interior design company, offering beautifully hand-crafted furniture, kitchen and bath design, full scale layouts and home design of custom window treatments, bedding, unique home home decor, rugs & accent furnishings —designed and customized to meet your specifications and budget. Your Home | Your Style | Your Way — Book your appointment today! Paula Grace Designs creates luxurious, comfortable homes emphasizing personalized design and high-end and custom furnishings. Principal Paula Grace has a keen eye for a well-edited room, combining sleek and sensual lines, the nuances of fine fabric and a respect for the scale and proportion unique to each space. The goal is to create a stylish and personalized environment that succinctly conveys a client’s sense of self. Just contact Paula Grace Designs with your next project and experience the difference a professional designer makes 703-201-1490. Mary Meade Sampson Interior Design is a full service design company serving clients in the DC Metro area. We love creating beautiful spaces where families can truly live. It is understandable how important time is to you and your family. We come and help by providing designs and advice that will make your lifestyle and your home more functional. CONSULTATION 1. We schedule an on-site consultation at your home or business so we can gather information about your requirements, preferences, and budget. You will also have the opportunity to see more portfolio work and ask questions in regard to the design process. 2. Pierre Jean-Baptiste Interiors will now provide an on-site quote for our design services based on our discussion, the space, and the intricacy of the project. The quote will contain the details of the services that we will provide, as well as the payment terms. 3. Upon acceptance of the quote, we will begin the site survey process such as measuring, taking site notes, and photographing the proposed area. The design retainer is due at this stage. DESIGN PROCESS 1. We now take the information gathered, and create Computer aided drafting floor plans, elevations, digital design boards showing furniture & fixtures, and 3D renders if included in the original proposal. 2. We call you a few days prior to completion to set up a meeting time. The average design time usually takes anywhere from 2 to 4 weeks, depending on the magnitude of the project, and our workload. We will, however, give you a rough estimate at the time of the on-site estimate. 3. We review the design with you and discuss the options that we have selected. Once approved we also receive the payment to begin the procurement process of the furnishings, and accessories. 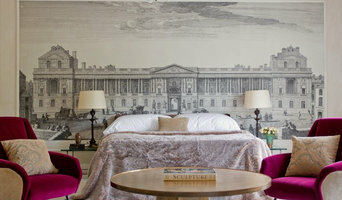 Pierre Jean-Baptiste Interiors was founded in July 2009. We now create amazing residential and commercial interiors unique to the clientele that we represent. Each project is tailored to fit our clients' lifestyle. Pierre Jean-Baptiste received a Bachelor’s in architectural studies from the University of Illinois at Chicago in 1998. In March 2015 Pierre received a Bachelor’s of Fine Arts in Interior Design from the Art Institute of Washington. Pierre is an active member of the American Society of Interior Designers (ASID) with over 18 years of architectural and interior design experience. Some prior work experience includes collaborations with Walt Disney and Toll Brothers. Contacting us for an appointment is the first step to making your commercial or residential space fascinating. Grace Thomas Designs has designed interior and outdoor spaces for some of the Washington, D.C. metro area’s finest homes. Founded by Michelle Troxell, Grace Thomas Designs works in a large range of styles and aesthetics, with a strong emphasis on achieving both fabulous and functional results on every project. Everything Grace Thomas Designs does is centered on the client and giving them the results they want. With a lifelong passion for design, Michelle stays on the pulse of new trends and ideas through constant continuing education. She plans each space with an eye for the principles and elements of design: scale and proportion, balance and flow, line and shape, texture, light, color, and pattern. Michelle uses her knowledge and experience to create interiors that are comfortable, elegant and functional. Grace Thomas Designs works closely with clients to create indoor and outdoor spaces that combine beauty, elegance and function together in a customized design that expresses each individual client's personal style. Our goal is to understand each client's particular needs and tastes in order to bring them to life in a timeless design that reflects who you are and how you live. The cornerstone of Michelle Troxell’s design philosophy is creating practical spaces where families feel at home, centered, and surrounded by beauty. Family plays a strong role in everything Michelle does. In fact, Grace Thomas Designs derives its name from the middle names of Michelle’s two children. Because of this family focus, Michelle loves to help clients create an environment where their family can spend more time together and make happy memories. She knows your lives are busy and wants your home to be a beautiful sanctuary. And, her family focus extends to the family’s furry members. A portion of the proceeds from every Grace Thomas Designs project goes toward charities that benefit animal rescue. Whether you are building a new home or office, remodeling, renovating, or just need help putting the finishing touches on a space, I help make your vision a reality. I combine those things that reflect you the most (travel experience, business logo, favorite color, heirloom pieces), and incorporate new furnishings and exclusive, one-of-a-kind pieces commissioned from artists and artisans so that the finished product is better than imagined. From start to finish, I provide timely and personalized service, transparency in fees and processes, and solutions to any challenges that arise, all while adding an element of surprise, fun, and excitement to the experience. Revitalize Design by Val Valdez is a boutique-style interior design and home staging firm which creates customized interiors to capture each client's essence while standing the test of time. We wake up sleeping rooms! Our clients come to us because they want to fall in love with their homes again. Our process is simple, we give our clients what they are seeking- design expertise. 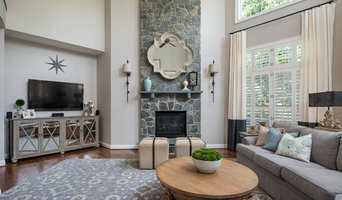 With over 20 years of hands-on experience, native Washingtonian, Val Valdez, interior designer/owner of Revitalize Design is able to share her expertise and provide a wide variety of design-related services, including: interior design consultations, renovations, remodels, and real estate staging. Starting your project with a trained and qualified professional interior designer is an invaluable asset when improving your most valuable possession, your home. Val Valdez is fully committed throughout the entire process, to help prevent costly errors most homeowners fall prey to, such as purchasing over-sized furniture that is not proportionate to its space. Revitalize Design will draw scaled floor plans of your rooms, while specifying proper clearances, and personalizing each area to your needs.This attention to detail is an essential element which effectively yields a safe and enjoyable home for your family. Revitalize Design consistently creates homes that are functional, comfortable, and aesthetically pleasing with the highest level of efficiency. When you trust in Revitalize Design you can expect a stress-free and enjoyable experience. To begin creating a space you will love, call, text, or email today. Welcome to Nest ID, a full service interior decorating firm, here to help you design, build and primp your Nest. J&L Interiors, LLC is a full-scale residential and commercial interior design firm located in Northern Virginia with over 20 years experience. Working with our clients from pre-construction through to the finest finishing details, we collaborate with our clients to create unique and inspired finished projects. From extraordinary homes, to penthouses, vacation properties as well as country clubs, corporate offices and hospitality J&L brings their experience and integrity to every project. The design team headed by Julie Hoffmann and Lori DuVal provide both residential and commercial design services. Our team delivers "ceiling to floor" services including: furnishings, flooring, lighting, accessories, artwork, window treatments, carpet, paint schemes and space planning for home and office spaces. Working with professional contractors, J&L Interiors provides a total turn-key product. J&L Interiors has completed a wide variety of interior design projects including country clubs, corporate offices and residential living with an emphasis on timeless design. On occasion, interior designers in Ashburn, VA will need to subcontract help from other Ashburn, VA professionals to help create the perfect look for your home renovation. These may be specialist installers or interior decorators like kitchen designers, architects or landscape contractors. Start by asking yourself what you want your space to become and how it will be used. List your must-haves and decide on your budget. Interior design services can add up fast, so be upfront with potential interior designers from the beginning. Also, pick a designer in Ashburn, VA that fits your style. Browse through their interior design portfolio on Houzz and ask yourself if you’d live in any of those houses. If the rooms inspire you, take note of what elements you appreciate. Find residential Ashburn, VA interior designers on Houzz. Scroll through this page to find interior designers in your area. Then, browse their design portfolios to see how their work compares to the scope of your project. You can read reviews to see how other homeowners rate their work, and message them directly to to ask any specific questions.